I have an obsession with mini things and small spaces. This works to my advantage living in San Francisco with rent being so high. I used to collect mini sharpies and even once convinced my mom to make a bed in my closet. By bed, I mean I put pillows down on a shelf in a four foot wide closet (pays to be 5ft 2in). This lasted a couple of days before my mom put an end to it. The next mini obsession came when I was allowed to drive my Uncle’s Mini Cooper. Talk about a fun car to drive (and an easy car to parallel park). Today in the world of mini magic, I got to use a minipan. When my friends first got it, they laughed. “Why would we ever use this?”. I was too busy thinking up ways to use it to notice the mocking. 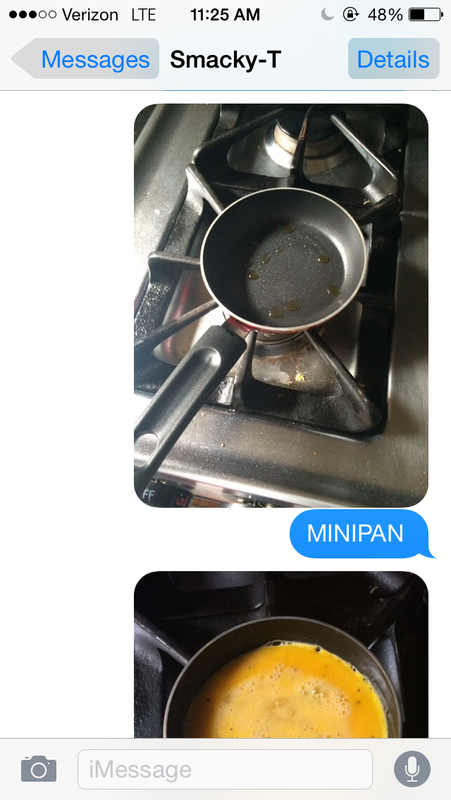 Now weeks later, I’ve been crashing at their place and decided to make some eggs this morning when I rediscovered the mini pan. Not only was it the easiest thing to clean, it also was the perfect size for two eggs. 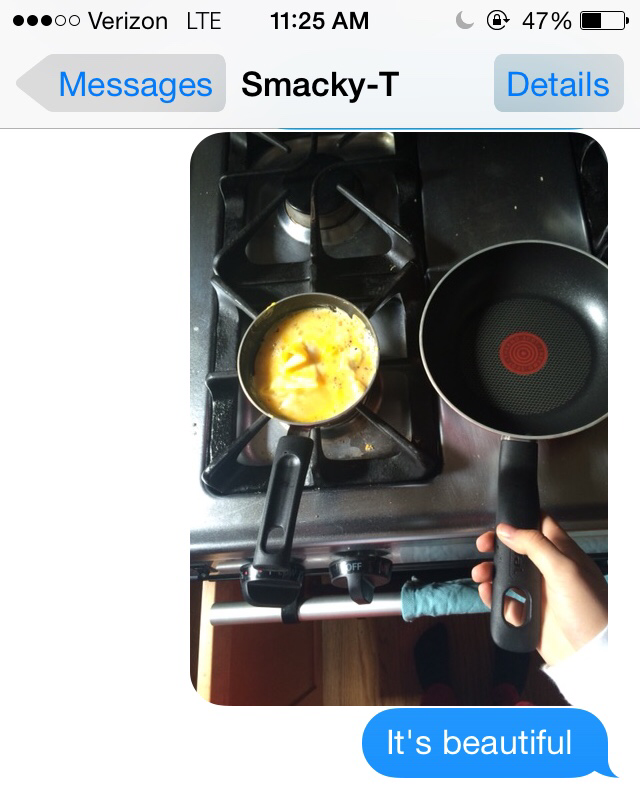 When the eggs were done cooking, I just flipped them onto a plate without a problem. SO EASY! SO PERFECT! Today is a good day filled with minipans and perfectly cooked eggs.